As much as I try to stay on top of things trend-wise, there are some things that completely slip my grasp. Like, for instance, The Hills. But I'm not talking about that show right now - today I'm talking about Twilight. I know the books by Stephenie Meyer are phenomenally popular: I've seen the coverage of people lining up at midnight for the last installment as well as lots of other brouhaha about the fans. I also know that the movie is, if all my gossip sites and digital billboards with countdowns to the movie's release are right, verrrry highly anticipated, and not just by teenage girls but by grown women as well. The film's world premiere was held last night in Westwood and - as I expected - scores of screaming, crying fans made their presence known. Okay, I concluded. Everyone's got their thing, right? I admit: I haven't read the books. However, what I have heard about them really doesn't make me want to. For one, Annika advised me that the vampires in the books actually sparkle in sunlight. SPARKLE. Really? Just...NO. I am a horror aficionado, and knowing that this vampire credo has been broken bothers me more than I can say. Second, the relationship between vampire Edward and mortal Bella is slightly obsessive (again, this is what I have heard) and not exactly healthy. Hmm. Here's my question: if you are a fan of the series, why? What is it about the books that inspires you to stay up all night to read them? And if you don't like the books, tell me why as well. I'm curious. Thanks! Self-portrait taken the morning of November 2, 2004. In other news, this is also a big day for my amazingly talented friend Frank and his partner (they are adopting a baby boy and will be bringing him home - yay! ), as well as my brilliant girlfriends Heather and Jessica (their new book comes out today! You have ordered your copy already, haven't you?!) I'm so excited for them, I can't stand it. 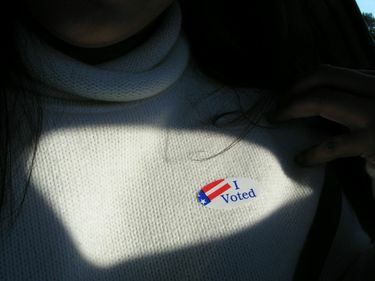 Congratulations all around, my dears! I shall buy you celebratory martinis the next time I see you. So! I was really amused by how much my online traffic and communication decreased this past weekend. I reckon it was because almost everyone I know was locked in their homes reading the last Harry Potter book. First thing: DON'T TELL ME HOW IT ENDS. I have only read the first book and have kept myself happily spoiler-free all this time even with my internet addiction. Since I need to catch up on my Potter readin', I am fixing to buy this box set from Amazon. Isn't it nice? All seven books in hardcover and with their own clever trunk to boot! For those who have read the whole series and finished the last book, what did you think of it? Were you satisfied with the ending? It bears repeating that I'd like any comments on this to be spoiler-free. Thanks! Why did I not know about this book, people? It's been out since last year! 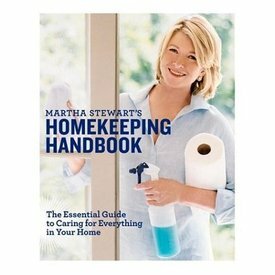 I really should have a copy with me at the ready the next time I have to tackle a pesky ink stain or need another tutorial on how to fold a fitted sheet into a perfectly flat number. The book, by the way, is gorgeously shot and printed on the best paper ever, plus its color scheme is so very appealing. Love! 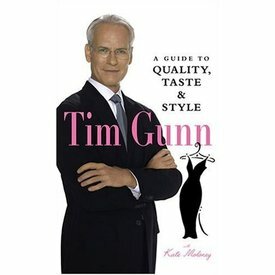 The day after my encounter with Martha's book, I learned that the utterly divine Tim Gunn has a book coming out in May! EEEEEE! I KNOW! My existence will be meaningless without the Gospel of Tim telling me in a firm yet reassuring tone how to be fabulous. As if a guide from Tim wouldn't be good enough, do you know what would make it even better? An AUDIO version of it with him as narrator! I would buy that in a heartbeat! I would listen to it all day on my iPod and in my car, I swear. Get on that, Abrams Image. Seriously. Thanks. My poor Amazon Wish List. I don't know if it can take the strain. Am I the only person on the planet who hasn't read The Da Vinci Code? Should I try to read it before the movie comes out? For those who have read it, is it good? Will my Catholic upbringing color my interpretation of the book? Or should I just look upon it as a mystery?